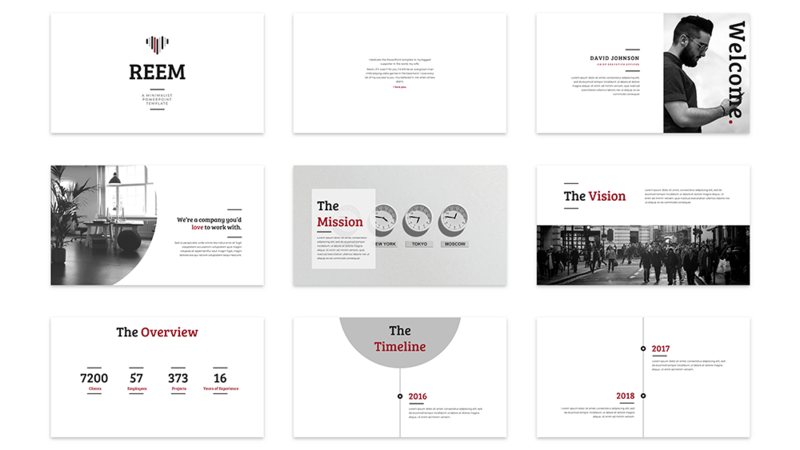 The Reem PowerPoint Template: Minimalist, Beautiful, Modern. 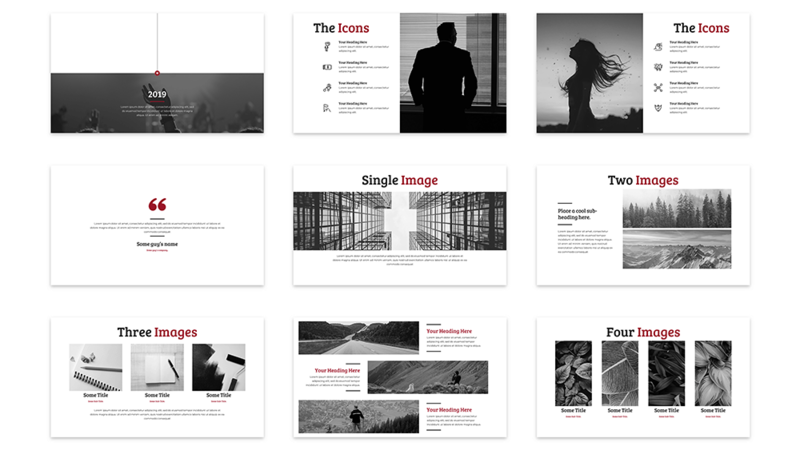 The Reem PowerPoint Template is a gorgeous, minimalist PowerPoint template that has everything you need to deliver a stunning presentation. It's so beautiful that I, the Founder of Slide Cow, named it after my own wife. 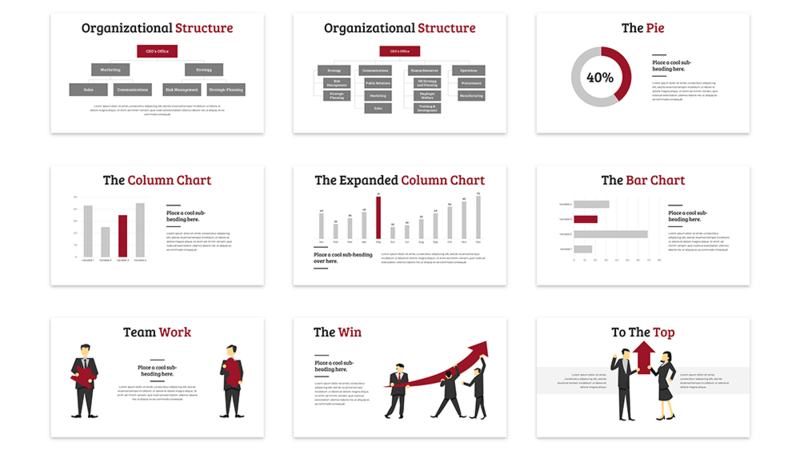 I could spend the time to write some amazing introduction as to why you should buy this PowerPoint template. 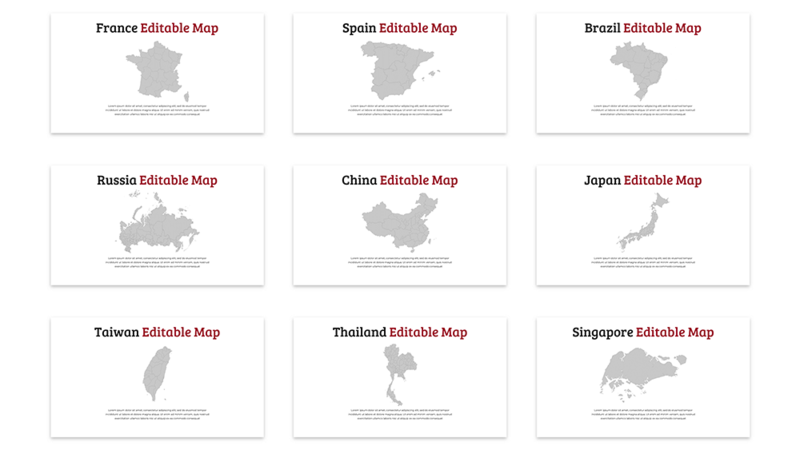 I could tell you that it's the most amazing PowerPoint template on the market. I could tell you that it's so simple to use that you won't even need instructions. I could even tell you that if you don't buy it your presentations will be boring. I'm going to be very clear from the get-go with this one, and it's coming straight from the heart. 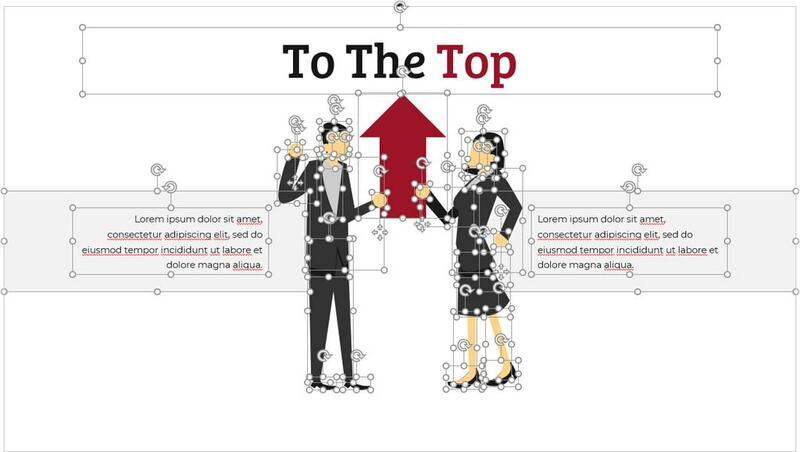 The inspiration behind this PowerPoint template comes from my wife Reem, who strongly supported me since day one. When I started to tell people that I'm going to start a presentation-based business, every one thought I was crazy. I was even laughed at. But Reem was the only one (and I mean only one) to say "Screw those guys. You can do this." 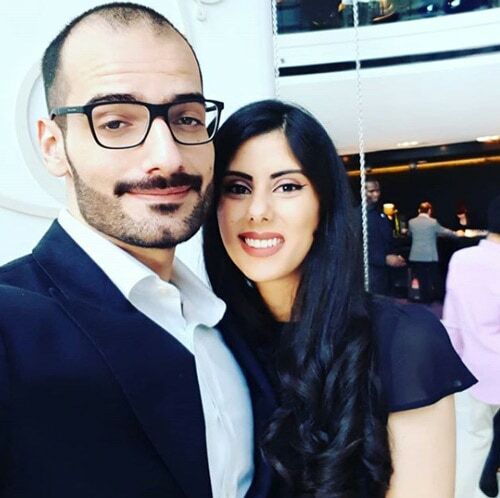 Reem, if you're reading this, I love you. I owe every bit of my motivation to learn, work and better myself to you. You've been pushing me to make Slide Cow a brand since it was just a YouTube channel, and here we are, with a PowerPoint template that I'm selling in your own name. The Reem PowerPoint template is, quite literally, Slide Cow's best work yet. It's based on minimalist design components, and makes sure that you have everything you need to create a gorgeous presentation. This template is beautiful, just like she is. You can even check out the slides and see for yourself. It's expressive, just like she is. 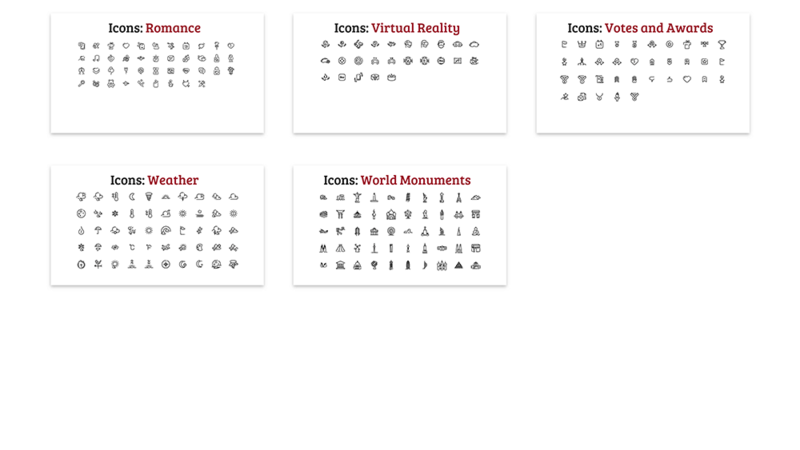 You can use over 1,000 icons to express your ideas with this PowerPoint template. It's practical, just like she is. The template is so simple your grandmother could use it. It's inspirational, just like she is. 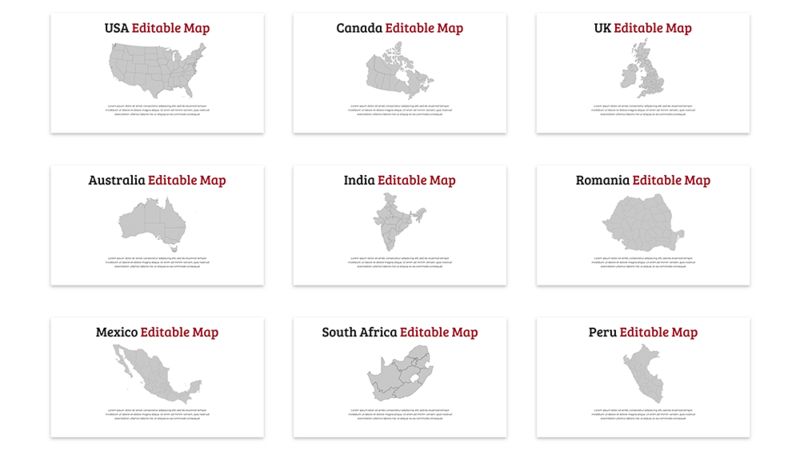 There are so many ways you could express your ideas on a slide. It only focuses on what's important, just like she does. There's no bloat in this template; everything is straight to the point. When you get this PowerPoint template, a little bit of Reem's personality is going to show on every slide. 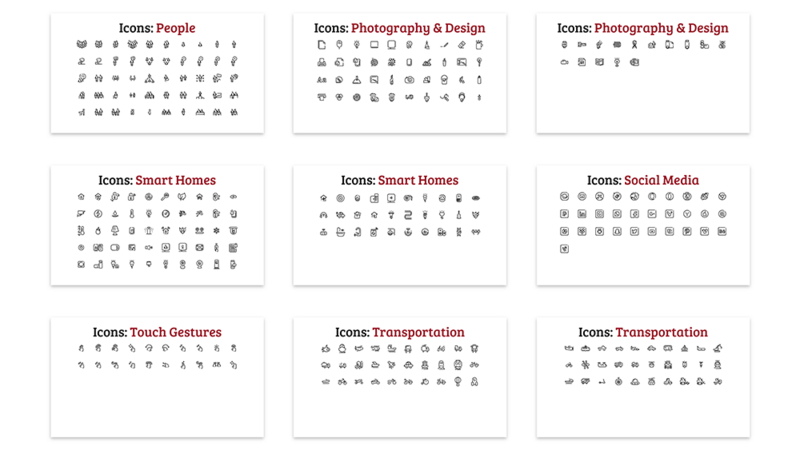 Grab Reem's 77 slides and 1,000 icons in one affordable package. 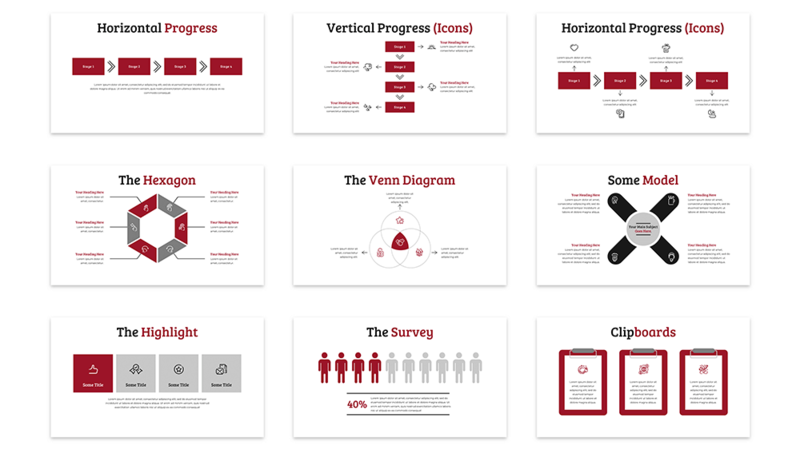 By purchasing the Reem PowerPoint template, you'll have access to 1,000 icons to represent every single idea you have. 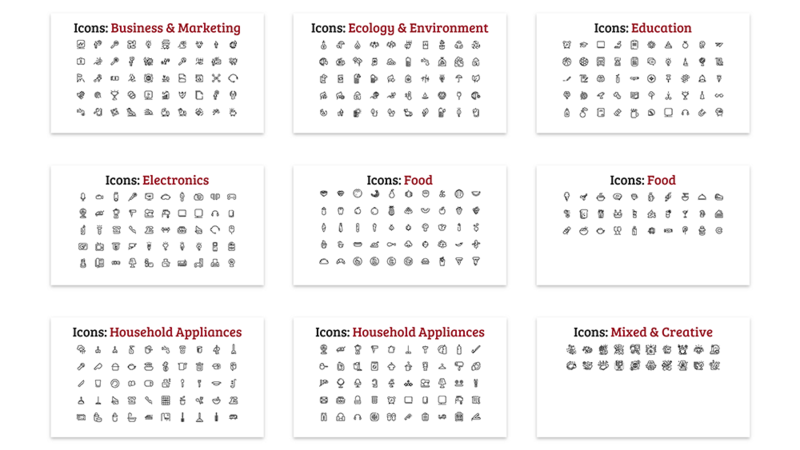 Icon categories range from the business and marketing all the way to animals and food. 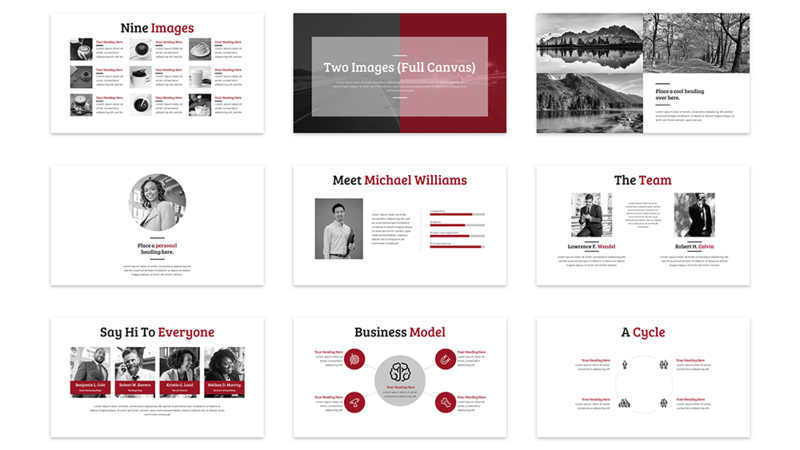 The Reem PowerPoint template is a clear, highly professional and elegant looking template. Any message can clearly be communicated / presented using Reem. As a Learning Specialist I am looking to grab the attention of the audience as quick as possible and hold that attention.A presentation is a support to that end. And that support needs to be clean, simple, crisp. To me, Reem answers that call. In my business, I make and see LOTS of PowerPoint decks. A well designed deck can set you apart from the others and put you on top of the investment stack. I've been following Yoyo's videos for a couple of years now, and immediately jumped at the opportunity to purchase his templates. They have more than paid for themselves with just the icons alone - not to mention the ability to instantly make a slide with the proper format for any type information. It's not even funny how good this PowerPoint template looks. It's like everything I ever needed is put into one, affordable, and SUPER beautiful package! 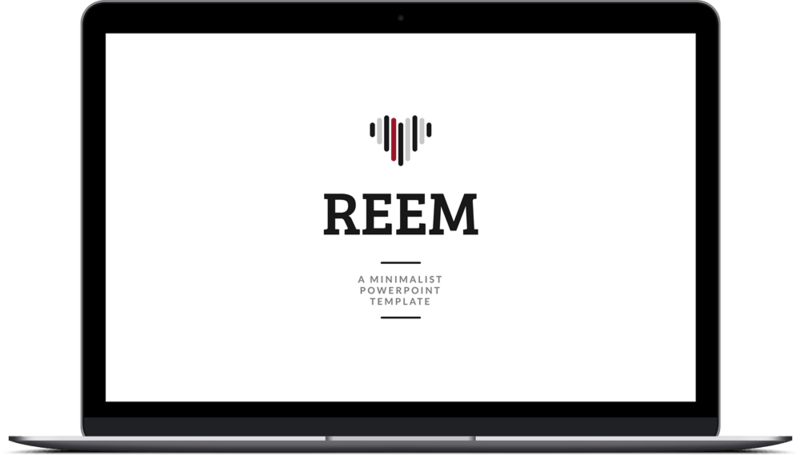 Buying the Reem PowerPoint template is a no-brainer. 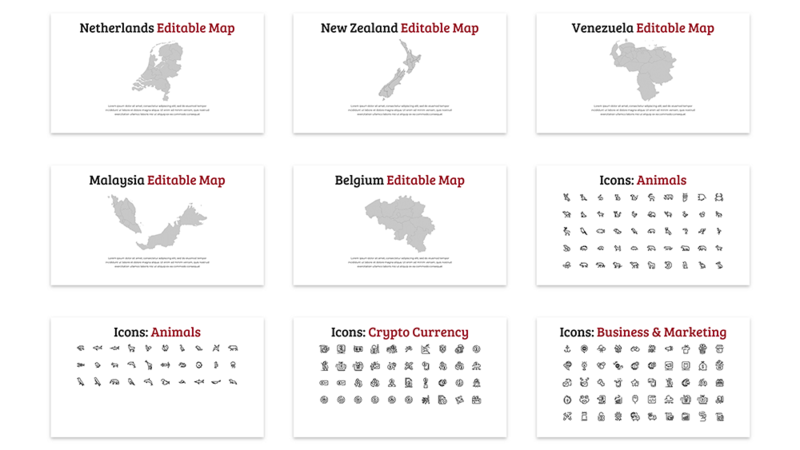 You get beautiful slides, 1,000 amazing icons, and everything is so easy-to-use! 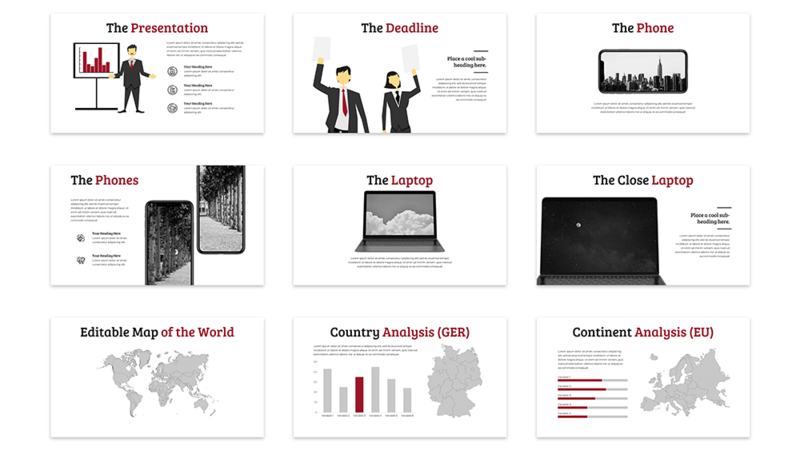 Make stellar business presentations with 77 of Reem's beautiful slides. Express your message with over 1000 fully editable and unique icons. Want to Redesign This Template For Your Business? We can take this template and rebrand it according to your business' needs. Redesign the template to portray your company's colors. Include your company's patterns, typeface, and other design elements. Place your company logo in the template. Tweak the template to suit your brand. Reach out to us and get started.